Anyone Know the Latest with Tribotone? Topic: Anyone Know the Latest with Tribotone? Just curious if anyone has heard any news about Tribotone. I came across this thread after a quick search, but don't know anything else. I love my size D Tribotone, and would kind of like to own another one. Unfortunately I am given to understand that Eric Ebner has ceased manufacturing the Tribotone bar. 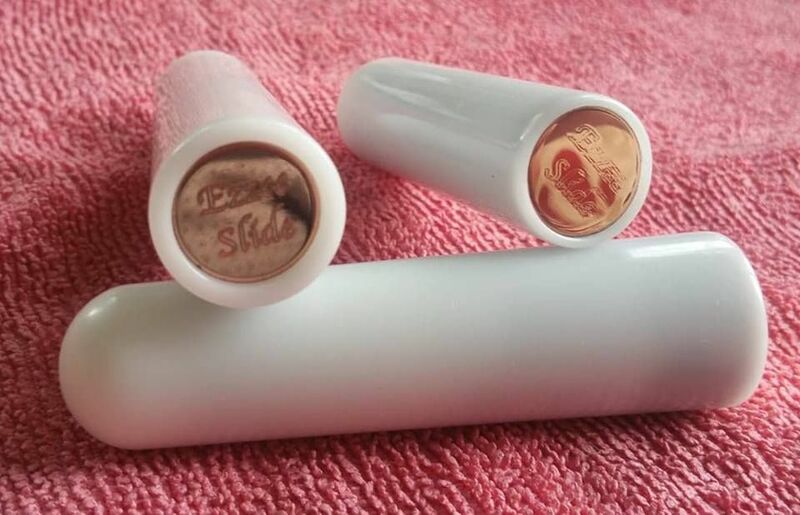 However all is not lost - Basil Henriques has been making polymer bars for the last 2 years or so and his Ezzee~slide Tone Bar is a top quality bar that he produces in different sizes. He has been ill recently, but he has a page on Facebook where you can order a bar from him. Todd Clinesmith also makes top quality polymer bars at very reasonable prices. I have recently seen a message on the forum from Eric saying he was getting Tribotone going again. What is the point? Do they have a different sound, or what? Guy, that's good to hear! Harry: The Tribotone plastic (I assume it's the same thermoplastic) has several advantages over metal bars. There tends to be less noise from the wound strings when sliding; they don't immediately freeze your fingers off when playing in a cold environment; your grip tends to be a lot better. Probably one or two other advantages I'm forgetting at the moment. Another thing I really like about Tribotones in particular is that the brass in inset with the plastic at a nice inner chamfer. This makes it really easy to grab the end for backwards slants. The Clinesmith may be just as good in this regard; I'd have to compare in person to be for sure though. The Tribotone bars are different from Todd's bars. They are not a straight polymer. He has his own unique process. One interesting thing about the Tribotone is that it can look worn and scratched but still be absolutely smooth. I hope Eric starts up again. 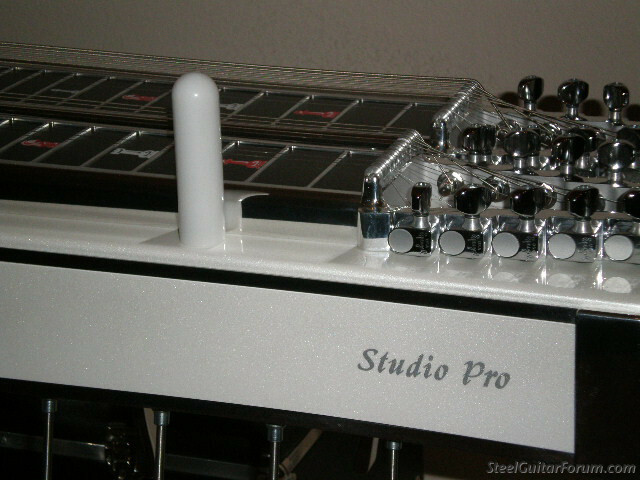 I would like to have another one for my pedalsteel. With that I really like my Clinesmith bar also. Haven't tried Basil's yet. Thanks for the info guys. I've never tried one or even seen one for that matter. Tribotones are all I've used for the last several years. I like them being available in different colors, I have a white one for my white guitars and a red one for my red guitars, and I had a blue one for my blue guitars until I sold them, then I sold the bar too. It seems to me like they sustain better than stainless or chrome bars and they are definitely slicker, but still easy to hold onto. Here's my white one and my matching MSA Studio Pro.